30 days challenges are some of the easiest ways to improve your life. They are far more manageable than your yearly resolutions, for instance, but they last long enough to produce visible results. I used 30 days challenges to create new habits, to ditch old, bad habits, to experiment new attitudes, like gratitude, to test new productivity approaches or to change my exercising routine. It’s easier than you think and you don’t have to spend months in it: it’s only 30 days. Start today. Before we begin, I would like to stress that I’ve been through this a lot. And I mean, a lot. I remember that one year I ditched my resolutions entirely and, instead, I started 12 months series of 30 days challenges. One of the most important habits that I got out of the this series was running, a habit that is still a very important part of my life. So, how to do a 30 days challenge? It should be very clear from the very beginning the reason. If the reason is unclear, the challenge will fail. In the sense that it will not produce a useful result. You may go through the entire 30 days period, but it may leave empty afterwords. So, be very specific: I want to start this 30 days challenge because… And put your reasons. If you just put “because I am bored”, it may not work. Try something like “because I can’t enjoy the time with my family enough and I’m trying to escape into the TV shows almost every evening”. Also, be very, very clear about the benefits. There will be times when you will want to quit, but knowing the benefits very well may be of help. Many potential 30 days challenges are solved at this very first step. People are realizing, using this simple process, that they don’t need to do that challenge, and the situation that was unsatisfying can be solved much easier. And by detailed I mean each day. You should know form the beginning what would happen during each and every day. You can make this plan on paper, if you feel comfortable, or using your favorite to-do list app, if you have one. The thing is to be on something that you will feel comfortable to use every day. Be verbose. Add as many details as you can, even if during the challenge you will change some of the things. But having a very clear picture in your mind before actually beginning will drastically increase your chances to succeed. These simple steps will take the burden of making the same choices every evening. It will also make number 4, below, much easier. That’s the stage where you actually do the list above. It’s very important to stay alert and aware during the process. Because during the first days it will be hard (assuming that the challenge had a serious reason to be undertaken and that you made a comprehensive list of actions). It will be really hard. I remember that when I started to run, it really hurt me. 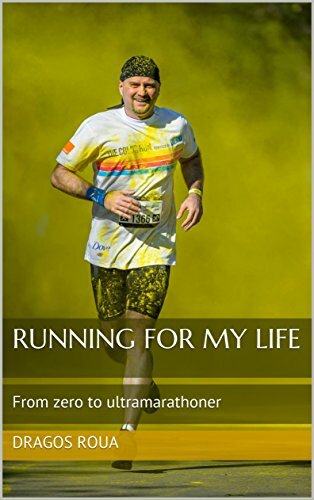 Partly because I had no idea how to run or what gear to run with (and that actually got me injured a couple of times) partly because I had to make some dramatic changes to my lifestyle. That’s where the “stick to it” part becomes really important. Every habit change will face inertia and this is normal. This is how things work. If you apply some force to something, it will respond in kind. It will react. That’s what your life will do if you want to change it. So, be prepared and always keep the thought that this change is for the better (like you already assessed at point number one, above). Keep a log of everything you do. Especially in the firs third of the challenge. From my experience, this first third is the most “roller coaster”-ish part of it. It’s shaky and somehow unpredictable and it’s very good to have some place where you log all the things to do. It will help you understand the consequences, it will help you evaluate the benefits after the challenge is over (see number five, below) or it will help you decide if you really want to stick with that habit or ditch it. A few 30 days challenges ended with the decision to not go forward. But I wouldn’t know this from the beginning. That’s where the beauty of these 30 days challenges is really obvious. It lets you try it before you buy it. It lets you get a feeling of it before you engage with full power. But in order to get the correct feeling, just write down everything you experience. I know, in the beginning it will probably be mostly frustration and anger, but just let it out. At the end of the challenge, make a decision. It can be either to stick with that new habit, or to ditch it. Sometimes, it may something that I call “inconclusive”. Meaning that you don’t really know what to do. But even that, in itself, it’s a positive conclusion.